Started by Veronica Simas de Souza (or Veve) in 2006, Veve Dance is affiliated with the Egyptian Embassy and specialises in belly dancing, raqs sharqi (the classical Egyptian style of belly dancing), tribal fusion and dancing on live darbouka. The troupe of dancers at Veve is superbly trained and travels to various international belly dance festivals to upgrade skills and techniques. Veve caters only to exclusive, high-profile events. Veve Dance is a wedding entertainers orchestra based out of Mumbai . Veve Dance's telephone number is 76-66-77-88-99, Veve Dance website address is http://vevedance.blogspot.in/, Facebook page is Veve Dance and address is Bhakti Wellness Centre, Spring Field 2, First Floor, Above Tree House Nursery, Andheri (W), Mumbai . Veve Dance is mainly known for Entertainment Services. 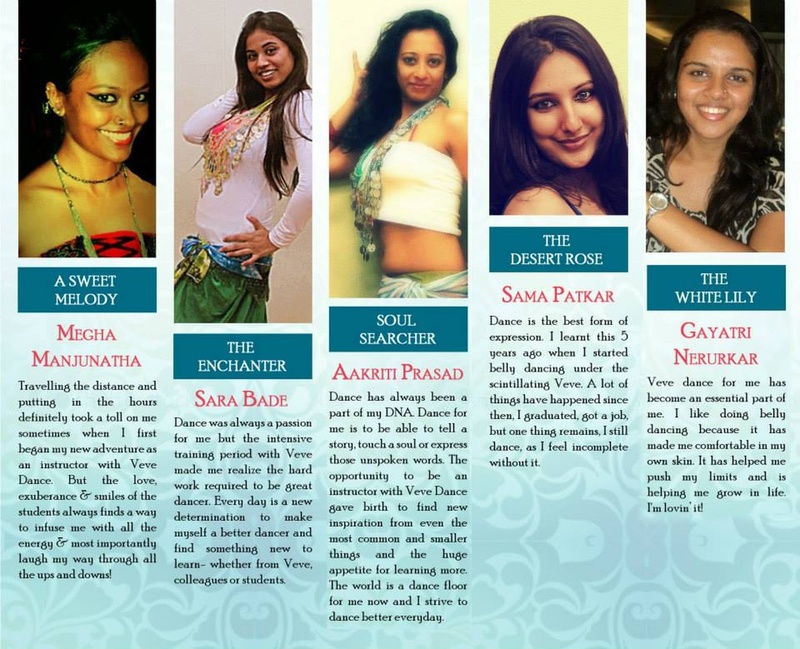 In terms of pricing Veve Dance offers various packages starting at Rs 40000/-. There are 1 albums here at Weddingz -- suggest you have a look. Call weddingz.in to book Veve Dance at guaranteed prices and with peace of mind.